So that I may know you too. 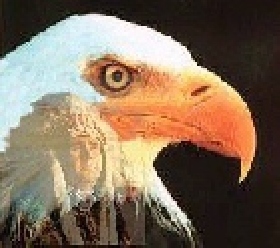 The feathers of Eagle are considered to be the most sacred of healing tools. essence of Eagle medicine is earned. breath of the Great Spirit. forms and is always related to the creative force of the Great Spirit. both, and you will take flight like the Eagle. and to follow the joy your heart desires.